We are located in Northern NJ, servicing a 100-mile radius including NYC. We have over 20 years of personal experience in the industry. We have experience in almost any commercial remodel environment, including office buildings, healthcare facilities, education, restaurants, retail stores, places of worship, fitness facilities, and industrial applications. 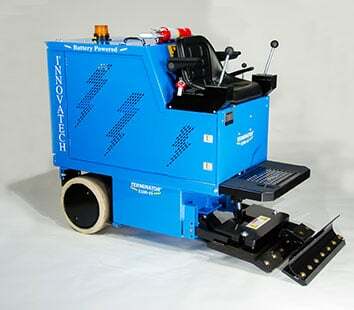 Our main equipment is a Terminator T-2100EI Battery Ride-On from Innovatech. The machine is extremely quiet with zero emissions, which allows it to be used in occupied buildings. With dimensions of 66″ x 27″, we can work in smaller spaces. We have a wide assortment of blades and bit attachments from 2″-27″ which allow for removal of any type of flooring. 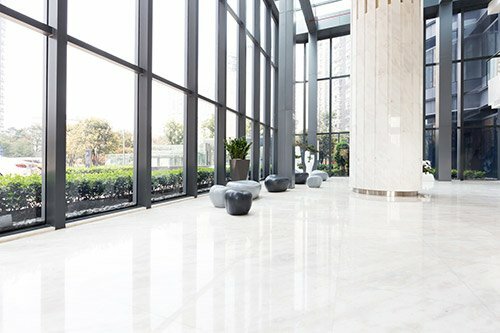 From general contractors to floor covering retailers, estimating the time and money involved in removing existing floors can be a challenging task. Schedules and budgets often run over what is allowed in your contract. We can price each job by the sq ft and give you an estimated removal time allowing you to stay within budget and time schedule, keeping your employees productive in their trade. We would like the opportunity to help your company’s productivity and growth. Rates starting at $ 0.25 cents per sq ft.
At Titan Floor Removal, we are equipped to remove different types of floor coverings in a timely manner. When you hire us, you can have a well-prepared building subfloor ready for new installation. Make us your preferred floor removal contractor and put our years of experience to work for your benefit. To schedule our services, you can reach us through the contact details listed on this site.